It comes with a 5 inch 14h AMOLEO display and latest Android 4.2.3 operating system. It comes with a whooping 14 MP rear camera and a 3 MP front camera. It also has a voice assistant called S voice. There is a new feature called smart pause. ie. it senses wwhenever you are streaming a video and as soon as your eyes get off the video, it's paused automatically. It also has a gesture control meaning you can control it without touching it. This phone is a full house from samsung.It is definitely a future phone. It is so easy to use that even a rookie can learn to use it in an hour. Bonus, if you have a 4g internet connection, you can reach a mind boggling upload speed of 37 MBPS and an amzing download speed of 104 MBPS. It's like a fully loaded machine gun ready to burst out on tech geeks. 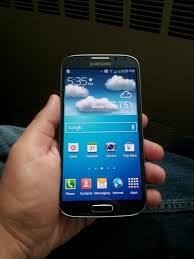 it is indeed a smartphone which comes with the krust of samsung and best of technology. With a cost of RS 40,000 it surely is going to hurt your pocket a little bit, but it's worth the price. This is a must have for a rookie as well as an tech geek.